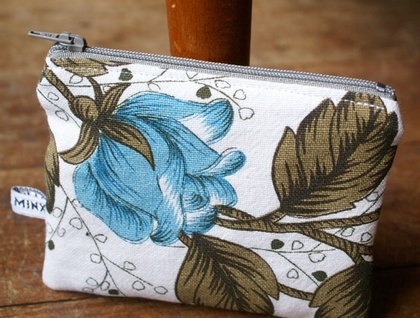 Made entirely from vintage and re-loved fabrics. 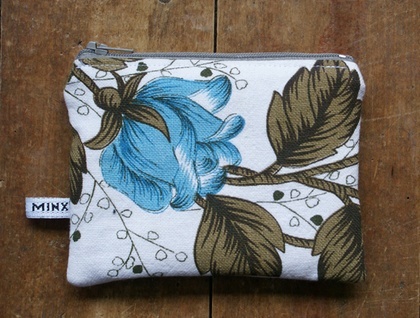 A zip wallet in a vintage rose print in teal blue, avocado, and chocolate brown on cotton. The front has the vintage flower print pattern on the bottom part, with an avocado linen on the top part. The back is the vintage rose print. 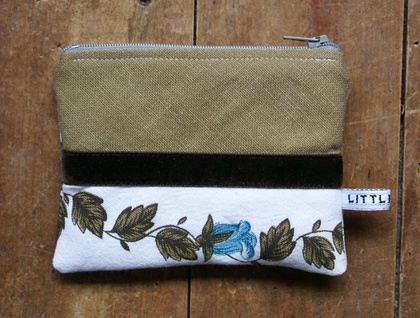 The zip is stone coloured, and the lining is a gray/blue botanical print. 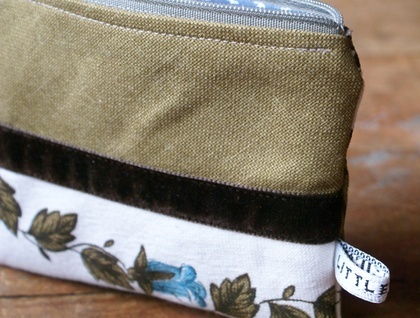 The outside fabric on both sides of the wallet have been lightly interfaced to add a little extra firmness. This is a great wallet for holding all your cards and a bit of cash. 13.5cm across by 10.5cm tall.